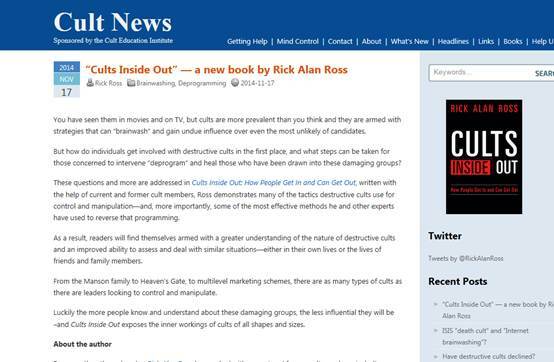 According to Prurgent.com and Cultnews.com on Dec.15, a new book Cults Inside Out by famous anti-cult expert Rick Alan Ross is released and available for readers on http://www.amazon.com. You have seen them in movies and on TV, but cults are more prevalent than you think and they are armed with strategies that can “brainwash” and gain undue influence over even the most unlikely of candidates. But how do individuals get involved with destructive cults in the first place, and what steps can be taken for those concerned to intervene “deprogram” and heal those who have been drawn into these damaging groups? These questions and more are addressed in Cults Inside Out: How People Get In and Can Get Out, written with the help of current and former cult members, Ross demonstrates many of the tactics destructive cults use for control and manipulation—and, more importantly, some of the most effective methods he and other experts have used to reverse that programming. As a result, readers will find themselves armed with a greater understanding of the nature of destructive cults and an improved ability to assess and deal with similar situations—either in their own lives or the lives of friends and family members. From the Manson family to Heaven’s Gate, to multilevel marketing schemes, there are as many types of cults as there are leaders looking to control and manipulate. Luckily the more people know and understand about these damaging groups, the less influential they will be–and Cults Inside Out exposes the inner workings of cults of all shapes and sizes. According to http://www.businesswire.com , Never before has a book examined and discussed the cult intervention process, often called “deprogramming,” in such detail. 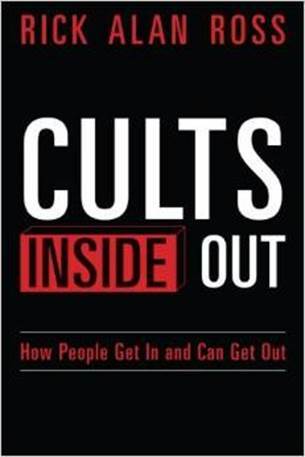 Readers of Cults Inside Out will find a step-by-step analysis that includes assessment, preparation and an in-depth clarification of the intervention process broken down into easy to understand blocks with actual case examples, such as the deprogramming of a Scientologist, a Falun Gong practitioner and a young woman trapped within an abusive controlling relationship. For more than three decades, Rick Alan Ross has worked with current and former cult members, including participation in more than five hundred interventions. Along the way, he has learned the methods of these groups use to deceive and “brainwash” even the most unlikely individuals. Using real-life examples and first-hand accounts, this informative look at the world of destructive cults will arm readers with a greater understanding of the dangers of such cults–as well as providing valuable information about the intervention or “deprogramming” process. Ross has consulted with the FBI, the BATF and other law enforcement agencies, as well as the governments of Israel and China on the topic of cults. Ross is a private consultant, lecturer and cult intervention specialist. He has been qualified and accepted as an expert court witness in eleven different states, including United States federal court. He has also worked as a professional analyst for CBS News, CBC of Canada, and Nippon and Asahi of Japan. 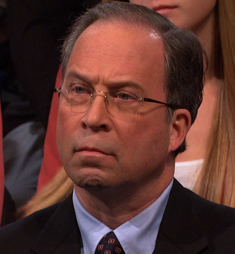 He has appeared in thirteen documentaries and numerous network television interviews. Ross has been quoted by the media all over the world. Rick Alan Ross is the founder of the Cult Education Institute, an online library and member of the American Library Association, whose database is one of the largest sources of information regarding cults on the Internet. ← Is almighty god a cult?